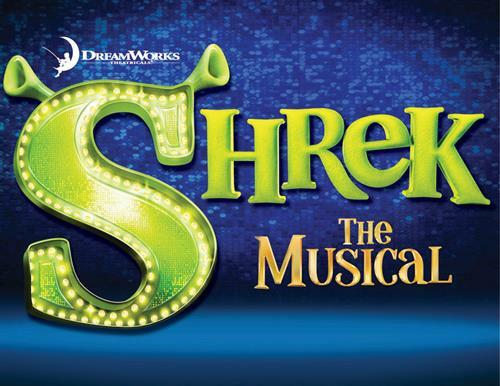 Based on the Oscar-winning animated film, Shrek the Musical is an irresistible blend of adventure and romance, guaranteed to delight audiences of all ages. The unlikely hero is a hulking green ogre named Shrek, who suddenly finds himself on a life-changing quest through the “Big Bright Beautiful World.” Spurred by his desire to reclaim his swamp from a gang of fairytale interlopers, Shrek strikes a deal with the cruel (and vertically-challenged) Lord Farquaad. If Shrek rescues Princess Fiona, then Farquaad will give the evicted fairytale misfits their homes back so Shrek can reclaim his. Joined by a wisecracking donkey, Shrek eventually frees the beautiful (if slightly temperamental) princess from a tower guarded by a fire-breathing dragon. Much to his surprise, Shrek discovers there is more to this unusual princess than meets the eye! Irreverent and full of fun, Shrek the Musical proves that beauty is truly in the eye of the ogre.